Check out mini bar design ideas in this article reviewing unique mini bars around the world, “PhotoHunt: 90 Ideas for Mini Bar Decoration“. 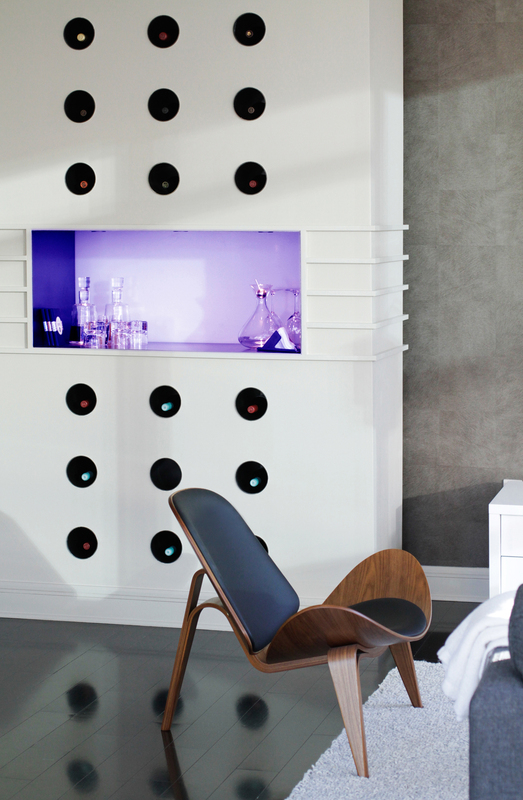 WERK’s mini bar, “Bar-Wall Wardrobe” gets mention at #37. This mini-bar is built-into the wall and features an industrial design aesthetic, utilizing steel inset bar with acrylic, back-lighted rear, and steel pipe extrusions to hold bottles. This detail was an extension of the entry sequence featuring other insets and details, including 10′ tall steel barn doors. We continue to hunt for inspiring design ideas. Today, under the flash of our cameras we have found a number of home bars from interiors around the world. Why go somewhere else to relax and have a drink if you can arrange your own bar? You don’t need an investor, a separate room and large investments, as your imagination will be seed capital. Check-out these ideas from our collection!